I have always been a movie buff. Why? Because movies are always capable of making me feel so many different intense emotions at any given time. And while they may not all be great enough to elicit a breathless "wow" from me at the end, there are quite a few that do. 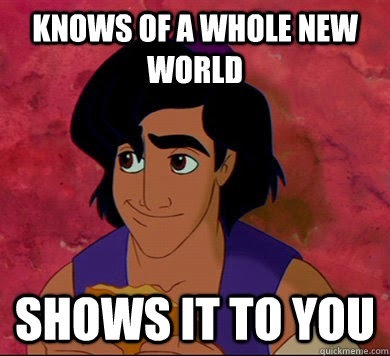 I don't exactly remember when my love for movies started, but I can trace it all back to the movie the first movie that made me want to fall in love: Aladdin. As a child - when my sister was scampering around pretending to be Cinderella or Sleeping Beauty (and sometimes a combination of both) - I never fully understood why anyone would want to be a Disney princess... until Aladdin came along, that is. See, I was never a girly girl. I was never the kind of girl who fantasised about being rescued by a prince in a dark tower, either. In fact, I was more interested in the life of Maleficent and why she became such a bitter villain than I was in Princess Aurora herself. So, when Princess Jasmine came into my life, my entire being changed. 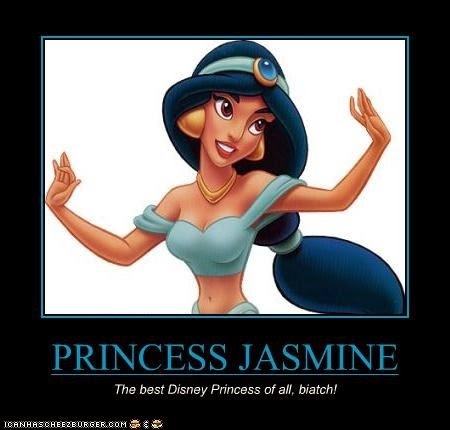 Princess Jasmine was so unlike any other Disney princess that had been introduced to the world at the time - she was AWESOME. She made me feel like there was hope for non girly girls to have a happy ending, even if they were bitchy and stubborn and spoiled. And for the first time in my life, I fell in love with a fictional character in terms of personality, beliefs and appearance: Aladdin. 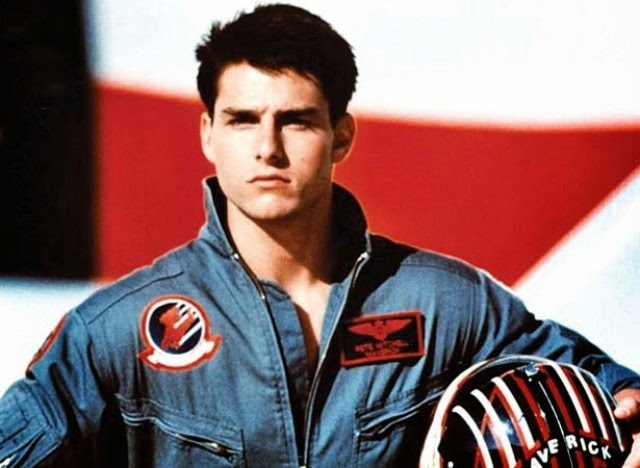 It isn't until later that I found out he was actually modelled after my ultimate Hollywood crush, Tom Cruise. Since then, my life has been filled with nothing but movies, movies and more movies. When I feel sad, I turn to movies like "The Great Gatsby", so that I can cry my lungs out. When I feel in love, I turn to movies like "Austenland", so that I can get kilig over J.J. Feild's British accent. On days when I actually find time to hit the cinemas with my friends, on the other hand, I turn to the GMovies app. 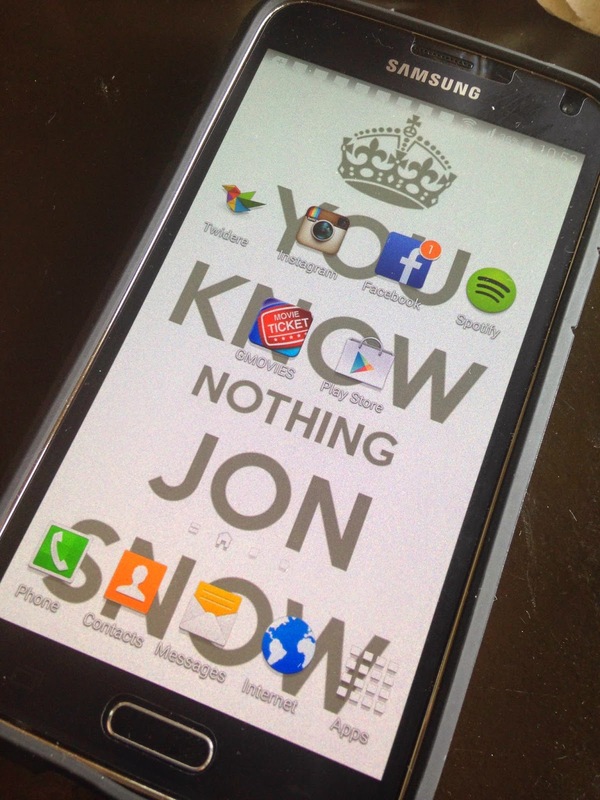 GMovies is the ultimate pocket app for any movie fix. A first in the Philippines, GMovies can help anyone with their movie-going experience anytime, anywhere! With a simple click, you can find out which movies are showing near you and even buy your movie tickets straight from your smartphone - all thanks to Globe Telecom! And the best part? You can download this film-tastic mobile app for FREE for Android and iOS. I agree that movies can make us feel a lot of different emotions. I just watched The fault in the stars two days ago because I was so sad and felt like crying even if I don't know why. After watching the movie, I felt better or say I felt better after crying. hehehe! All I can say that movies help me sort out what I feel, It is like a secret friend letting me vent out and be myself without the scrutiny of the society. Growing up as an early teen I really don't get why and whats the fuss about watching movies, I almost think that may Tito is crazy, He has this shelf of Movies ranging from old to new whether its Love, Action, Horror and Documentaries. I watch movies but not like now that I'm using it as an escape to all that I'm going thru. So, what movie made me fall in love with watching movies? That would be "500 days of Summer" I was so devastated after watching it, but a movie junkie was born by that moment. I would still watch that movie every now and then when I feel blue or in-love. Hachi: A Dog's Tale, is one of the movies that moved me and fall in love with watching movies. It is a tale of a dog and a master wherein the dog escapes when his cage falls off the baggage cart at an American train station and was adopted by Professor Parker. It was a nice story of friendship, family, loyalty and etc... between a man and a dog. It was an inspirational movie that up to this day, I cannot forget. Movies relive and shows actions. It depicts drama, comedy, action and others. It moved the audience. Movies entertained, teach and tell stories which connects people's lives. Jurassic Park - is what made me fall in love with cinema. I watched all 3 Jurassic films. The wonderful experience of watching a wildlife park of cloned dinosaurs on screen blew me away. The science fiction movie coupled with special effects and surreal dinosaur roars at the theater still fascinates me to this day.